Bodi. Birthdate: June 5, 2007 My heart is tender and full of love to give to you. 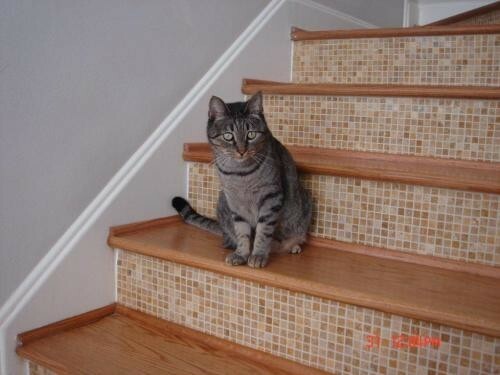 I am Bodi, a classic tabby girl who is searching for her forever home. My foster mother has taken such good care of me since she rescued me from BARC - 'the city pound.' However, she is unable to keep me forever because she has other kitties to care for as well. My temperament is calm, loving and gentle. I also love the sun and will find the spot in her home where I may rest - and that is where I take my best naps. I get along well with all other cats as I have learned how to share very well. Could I be the one for you?